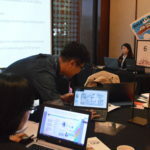 Hivos Southeast Asia is advancing its initiatives in Open Contracting through the network of Open Government Partnership (OGP) Regional Meeting in Korea. Hivos took part in the meeting where open government leaders and practitioners from across the Asia-Pacific region gathered to raise collective ambition and generate new political support for promoting participatory democracy, improving governance for a better life for all, and renewing public trust through government innovation. Hivos, together with its partners namely UNDP, OGP, Open Contracting Partnership and the Public Procurement Services of Korea kicked off the meeting with ‘Open Contracting Deep Dive’. 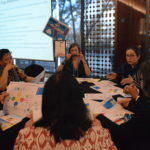 The session gathered actors from government, civil society, researchers and private sector, where participants strengthened and expand existing relationships for open contracting implementers & advocates for peer-support and learning. In addition, participants learned about approaches, tools and experiences of implementing open contracting through ‘World Tour Shows’. Participants were given a chance to visit different countries where they could learn what approach does countries apply in implementing Open Contracting; what are the challenges; and their success stories. 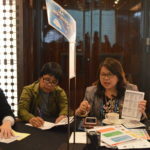 The session was also enriched by its ‘How-to Peer Clinic’ where one example, Ms Aida Talavera, Commission on audit from the Philippines, shared her success story in how to use open contracting mechanisms and data in public audits. In this case, she mentioned about CPA (Citizen Participatory Audit), a platform that allows Supreme Audits to invite public as part of audit team. From civil society perspective, there’s a need to work on the policy level to ensure that contract is included as a public information and to work more on public campaign in making open contracting more familiar to the public. 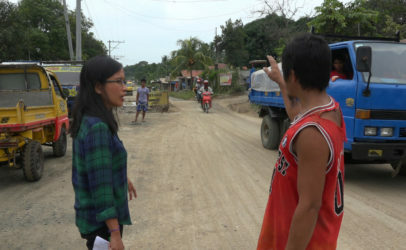 In addition, as a collective response, participants committed in exercising a regular communication/coordination among each other and they are determined to establish a specific working group in regard to open contracting.